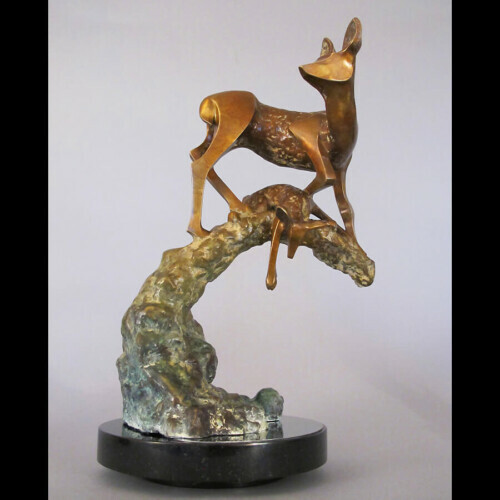 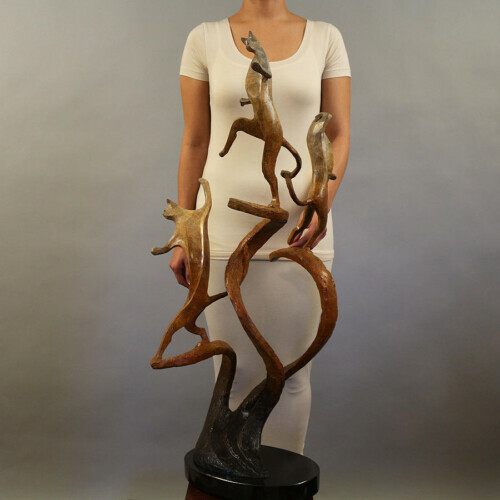 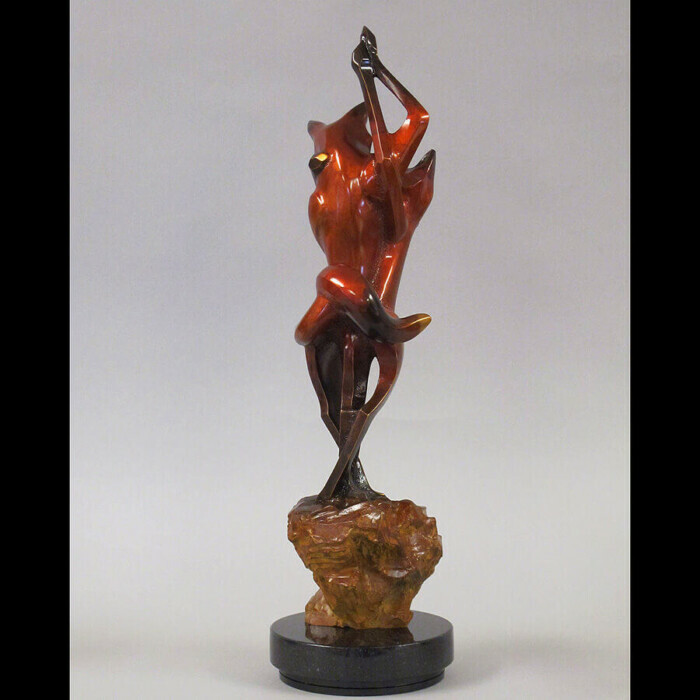 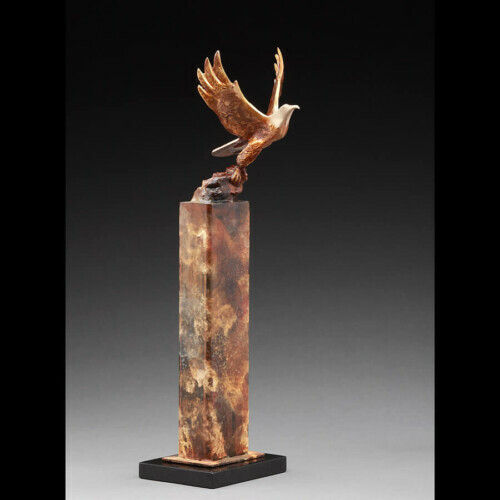 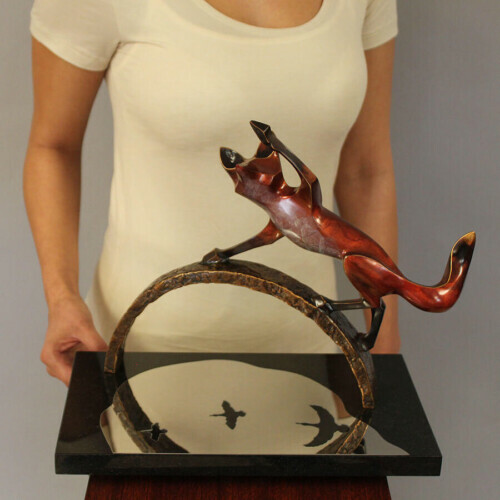 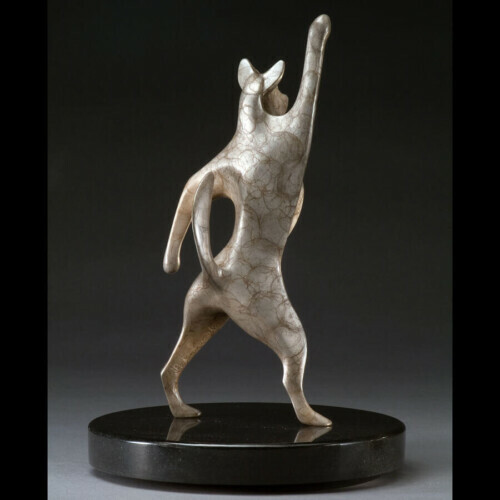 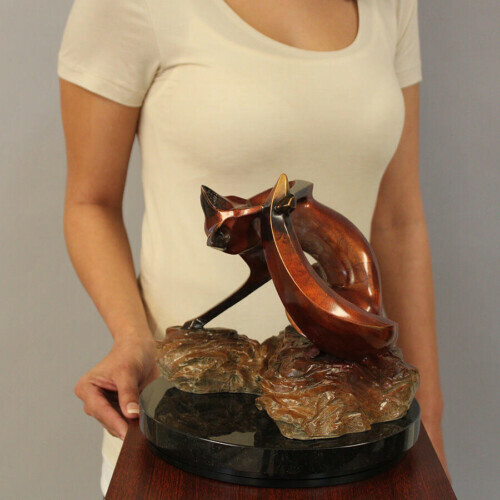 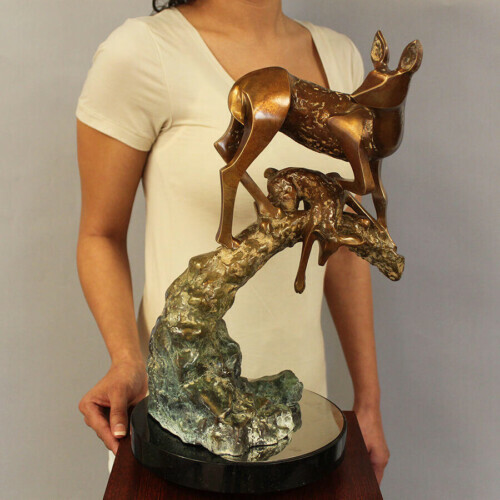 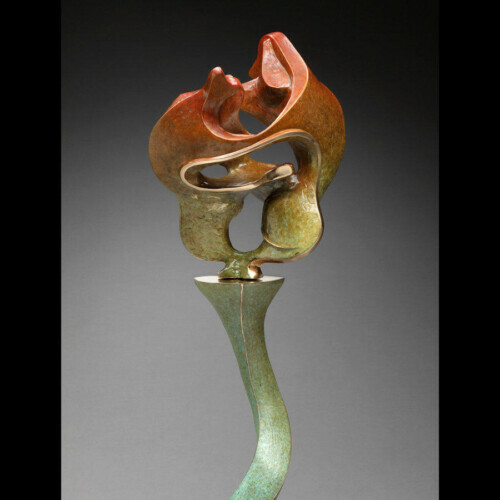 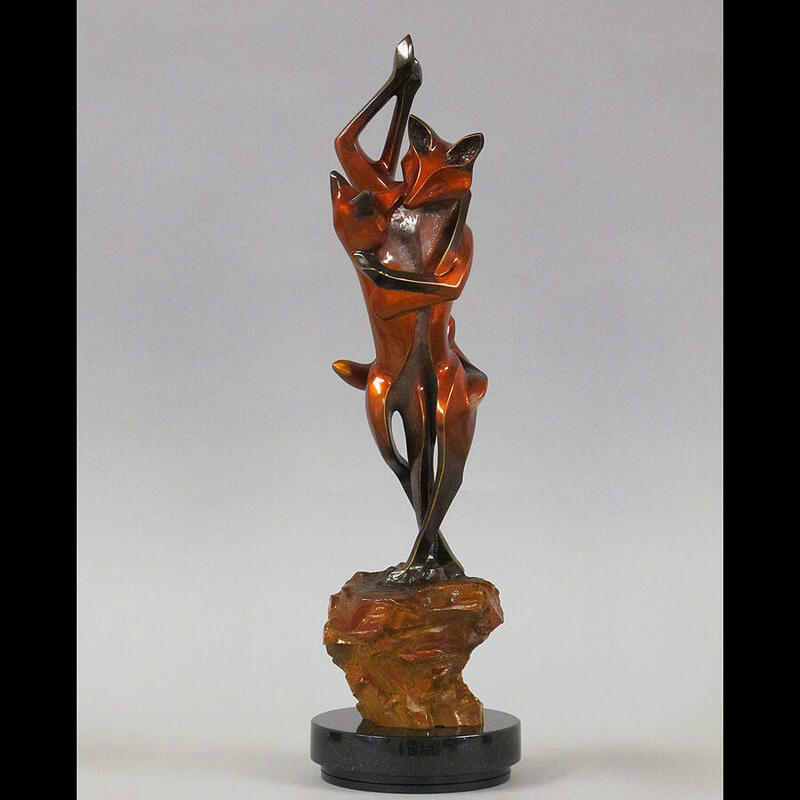 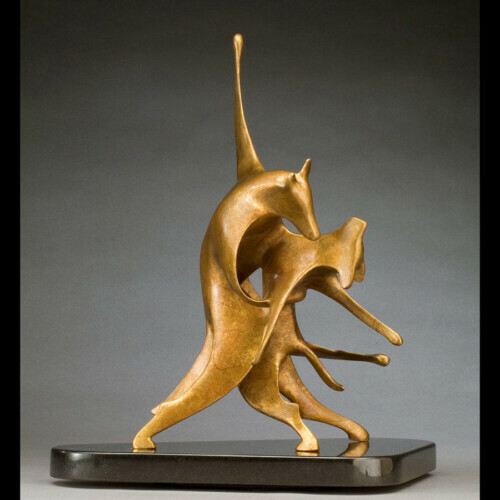 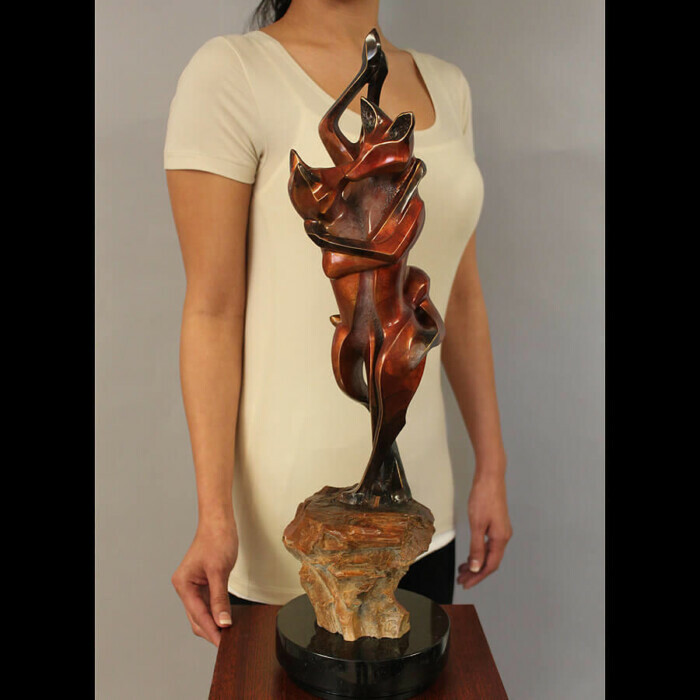 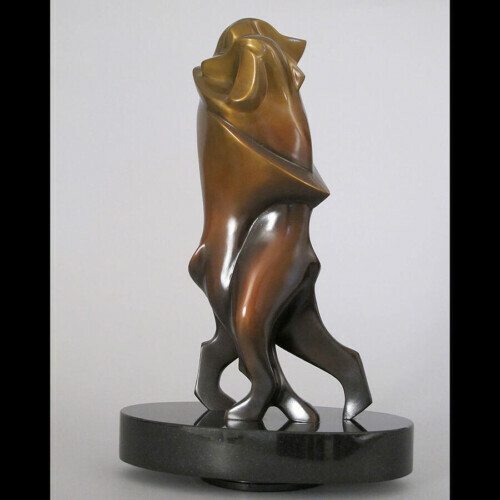 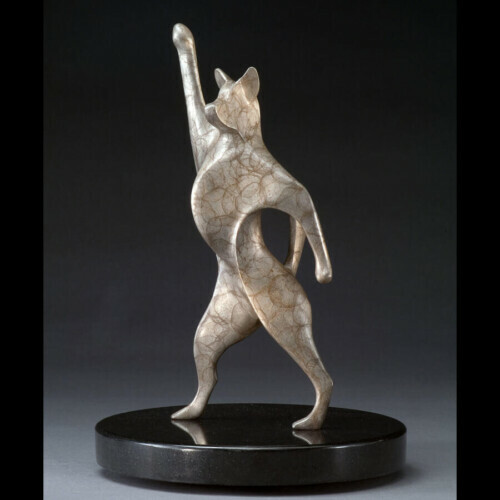 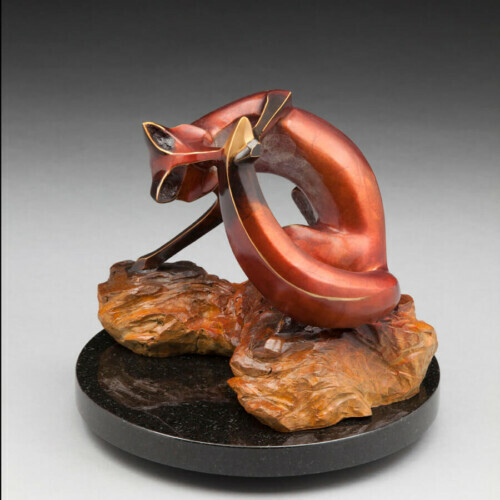 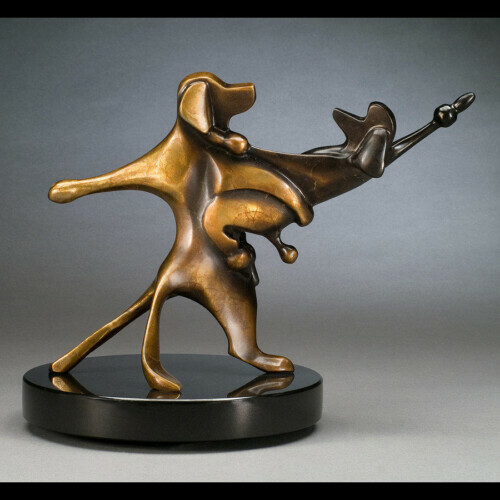 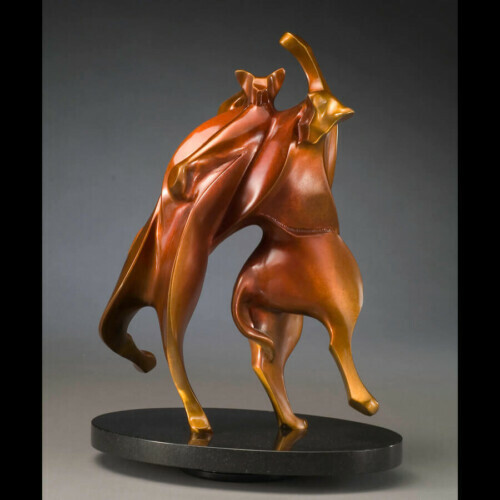 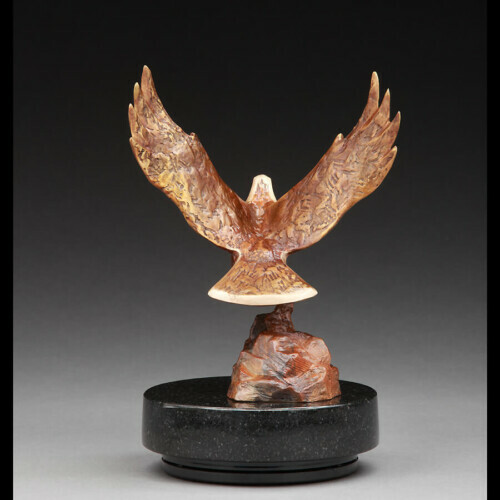 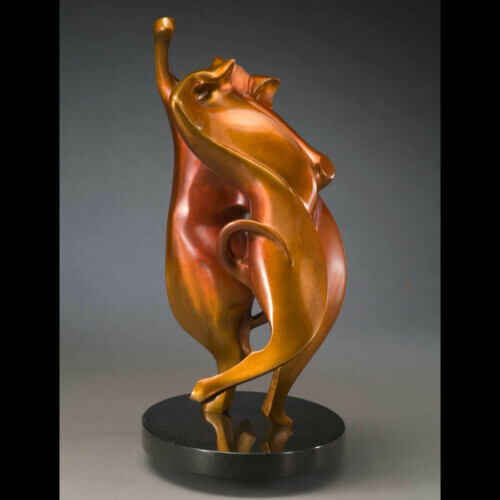 Bronze Fox Sculpture | Limited Edition Sculpture "EnWrapture"
This is EnWrapture. 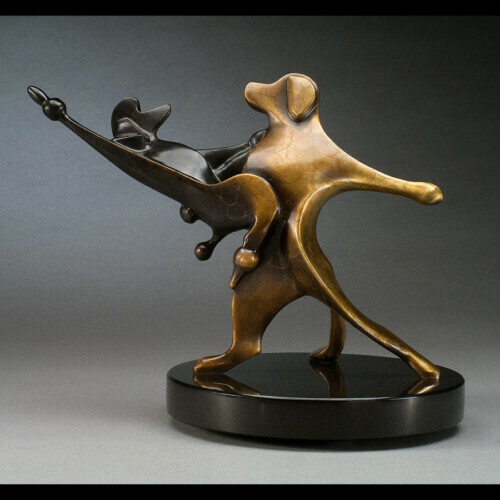 It’s an extremely emotional piece, in which I wanted to capture the feeling of being in love. 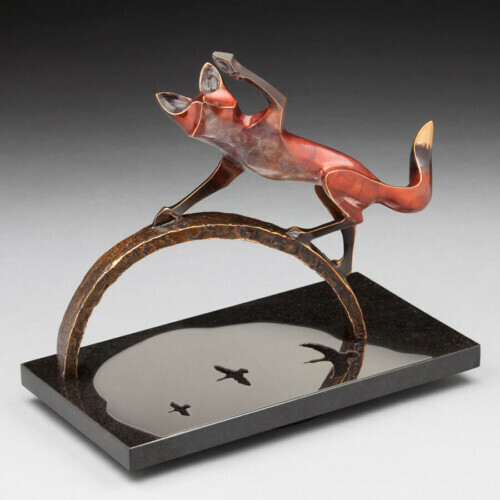 Here I have the foxes dancing, moving in unison. 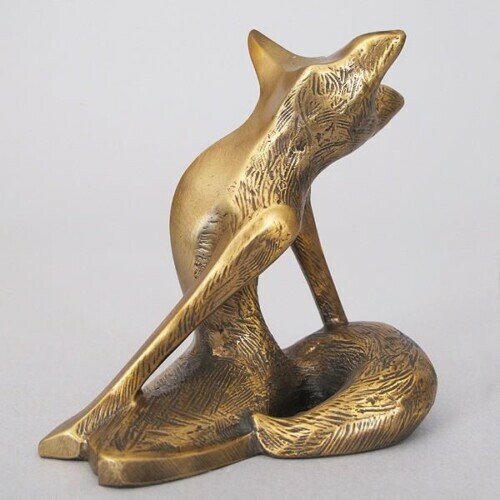 The female fox is inspired to steal a kiss as their tails wrap around each other, keeping them perfectly in balance as they move together. 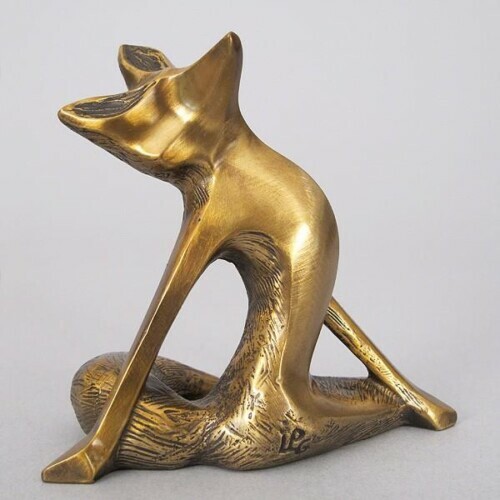 I so love the delicate long legs of the fox, their voluptuous tails and sleek bodies. 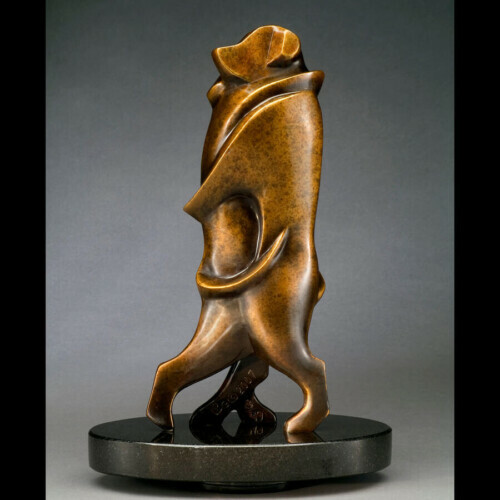 Those features help make them the perfect animal for me to express this special moment in time. 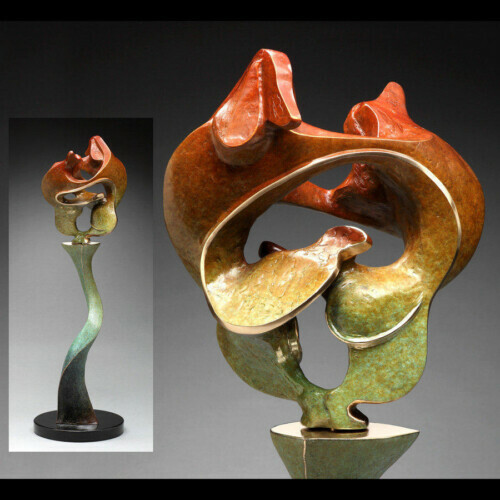 EnWrapture expresses all the hallmarks of my sculptures: Complex curves, highlighted dimensional lines, interactive planes, and a rich patina. 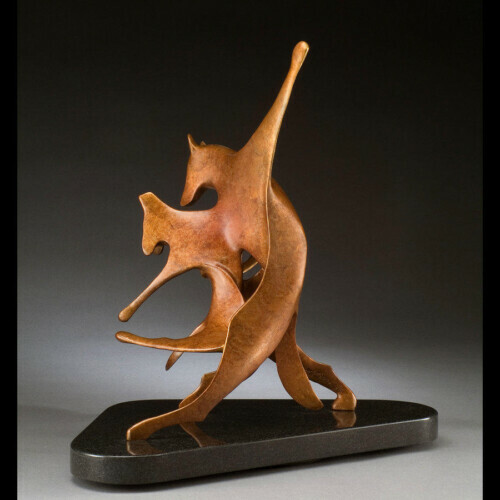 A new addition is a rocky architecture to support and ground the sculpture. 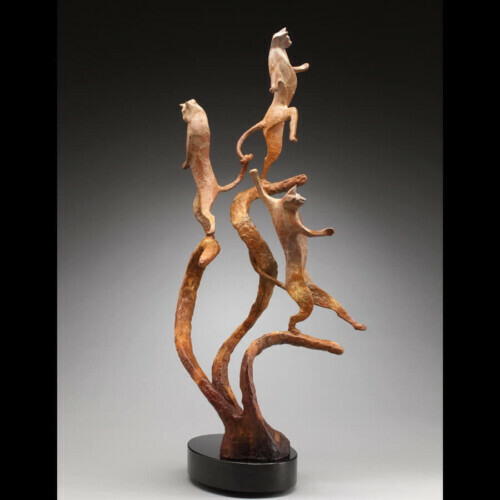 Notice how the paws emerge from the rocks.